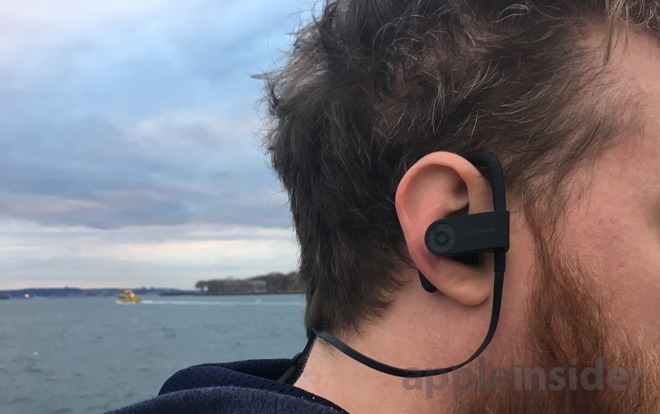 In the past few months Apple has launched several new Bluetooth headphones —mostly under the Beats brand —with its proprietary W1 chip, enabling better connections and easier pairing with Apple devices. Which model you should buy, if any, will depend not just on your budget, but how you intend to use them. The AirPods ($159) are Apple's only fully wireless option, and probably your best bet if convenience is all that matters. Aside from the W1's enhanced pairing —which automatically links headphones to all the devices associated with an Apple ID —AirPods turn on automatically when you pull them out of their charging case and insert them in your ear. With internal infrared sensors, the smart hardware can even pause music if you take a bud out. The buds offer just 5 hours of listening time on their own, but with periodic case charges, that can be extended to over 24 hours. Slapping them in the provided case for just 15 minutes should restore 3 hours of listening time. There are definitely arguments to be made against the AirPods, especially if you're into fitness. Even if it doesn't happen too often, the lack of wires or hooks means they could fall out during intense activity —and you'll pay $69 for the privilege of replacing a lost bud. 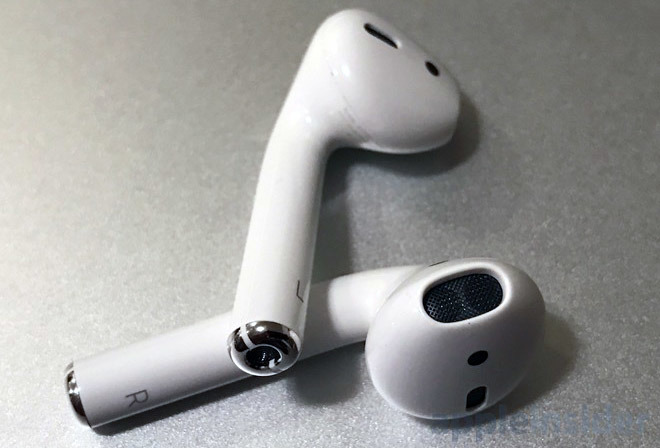 Also, while the AirPods do sound better than Apple's wired EarPods, don't expect to be blown away, and onboard controls are virtually non-existent. Apple expects you to rely on Siri —accessible via a double tap on either bud —or a paired device to handle most functions, which is not as convenient as anything with an inline remote. This makes the AirPods especially unsuited to pairing with non-Apple devices, so multi-platform users beware. See our extended review for more details. The Solo3 ($299.95) are Apple's top-of-the-line option, and good for just about every use case assuming you can justify the high cost. They have a whopping 40 hours of battery life, and when power runs low, a 5 minute Fast Fuel charge gets you 3 hours of audio. Being lightweight, on-ear headphones, they should stay on in most circumstances while shutting out the outside world. Of course they're not subtle and certainly the least compact of Apple's latest offerings, but you can fold them up or drape them around your neck if you need to get them out of the way. One standout feature Apple neglects to mention is their insane Bluetooth range. Barring any serious obstacles, you can potentially keep a connection going up to 400 feet away from the audio source —enough to wander around a large house, say, or leave your phone in one part of a gym while you deadlift on the opposite side. Like all current Beats headphones, the Solo3 also comes with an inline remote, which makes them easier to control than AirPods. Apple doesn't make any bones about it: the Powerbeats3s ($199.95) are sports and workout headphones, first and foremost. Hooks and an adjustable strap are meant to keep them in place at all times, even if you're doing sprints or hanging crunches. They're also built to be sweat- and water-resistant, if not totally waterproof. Because of these features —and 12-hour battery life —you might want to consider them over AirPods, regardless of whether you're physically active. They're still compact, and yet tougher and harder to lose. They even deliver high-quality audio, albeit bass-heavy like Beats products in general. Another catch is that it's extremely important to choose the right size among the included eartips —a loose fit can result in poor sound. Read our full review for more. 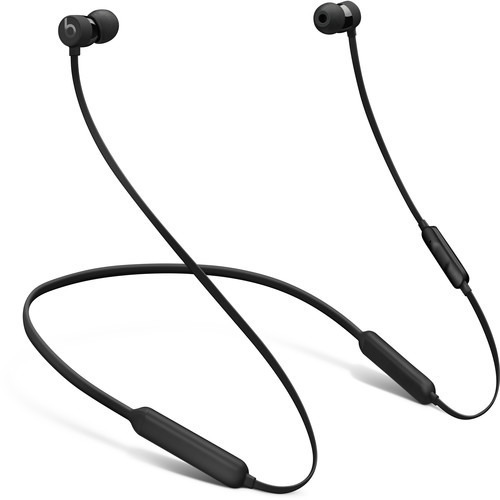 Technically, the BeatsX ($149.95) is not shipping until February, but on paper, they should hit a sweet spot. They're earbuds like the AirPods, but slightly cheaper, have an inline remote, and should satisfy people worried about losing a bud. The ends even magnetically attach to each other, making it easier to avoid tangling or hang around your neck. They might not be as workout-friendly as the Powerbeats3, but they'll probably become the next-best option, at least from Apple. Apple is promising up to 8 hours of battery life and a 5-minute Fast Fuel resulting in 2 hours of playback. We'll have wait until next month to see what their audio quality is like.